Although it seems a long way off the new tax year starting 6th April will soon be upon us. It closes down the chance to claim tax back on the yax year 2011 – 2012 so if you have not claimed for that year (or the following years) do it NOW before 5th April. As always, we can help so get in touch! For those of you up to date and relaxed, as a client of ours you will be like this chap, the new tax year starting on 6th April means you can start your tax claim for the year 2015 – 2016. 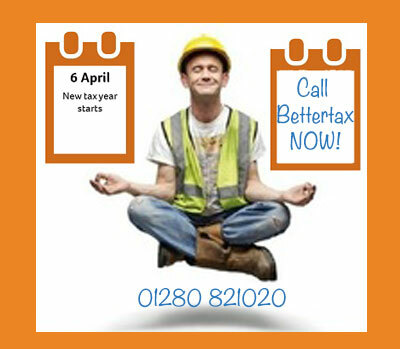 Self-employed (CIS) can call us any time after 6th April to get booked in for your tax return to be completed. PAYE workers should get a P60, maybe as early as your April pay slip and call us as soon as you have it. If you are a returning client, and we certainly hope to see you again, you already know the drill and how quick and easy we make it for you. Don’t forget to tell your colleagues so that you can earn rewards via our “Refer A Friend” scheme and new monthly CASH draw! Bettertax.org has been rated 5 out of 5 based on 290 customer reviews on Freeindex. We’re No.1 out of 2846 Accountants in the UK. (as at the time of writing). If you’re new to the idea of claiming tax back, our reviews evidence how good we are and we are also cheaper than our leading competitor, offering better rewards too! The registration process can take a few weeks due to HMRC taking their time so now is the best time to get signed up and be ready for the start in April – and perhaps catch that 4th year we’re about to lose!